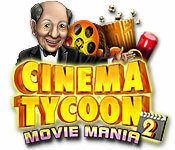 In Cinema Tycoon 2: Movie Mania, you play the role of a new employee trying revive Mr. Pickwick`s ailing movie theater chain. Restore the Pickwick theaters by taking over its day-to-day managerial duties. 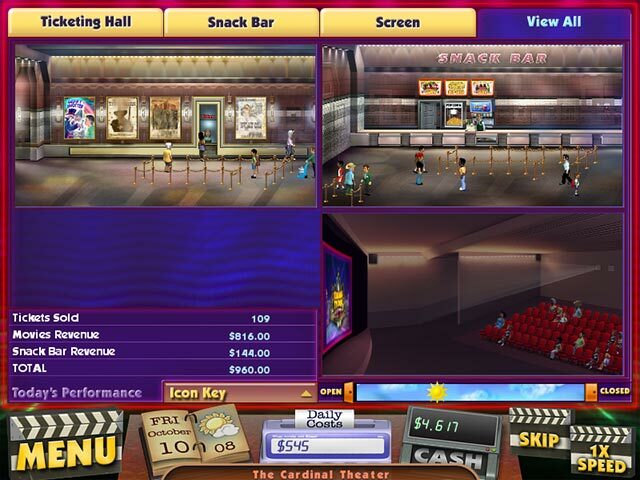 Fight off competitors, juggle budgets, manage your snack inventory and pick the best films to boost ticket sales in this easy to play money-management game. 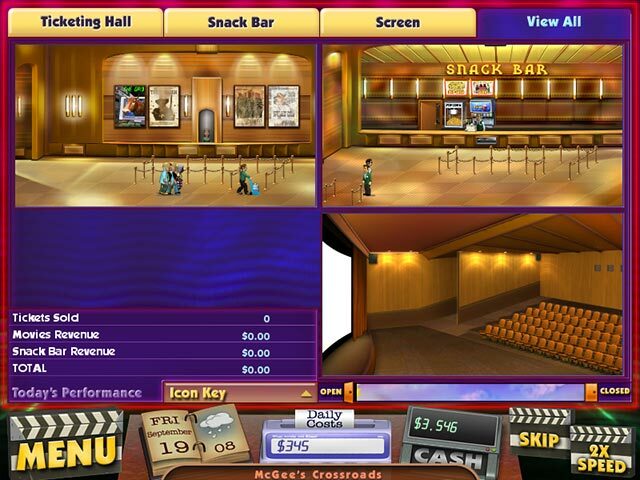 Do you have what it takes to create blockbuster entertainment and build a 5-star Cineplex empire?